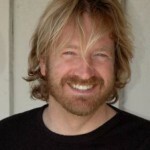 Frank Kern is a well known internet marketer. He’s famous for his Mass Control program where he get’s people to spend thousands of dollars on his products. This guy is a genius. Of course, all his other internet marketing buds are getting together to try to get us losers to buy his new product with free video and templates by Frank Kern.